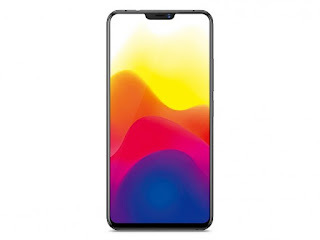 Home/ New Launch/under display fingerprint sensor/vivo/vivo x21/vivo x21 price in India/vivo x21 under display fingerprint /Vivo X21 | Vivo X21 price in india | Full specitications | under display fingerprint sensor. Vivo X21 | Vivo X21 price in india | Full specitications | under display fingerprint sensor. Vivo X21 India main launch ho gya hai. Vivo X21 under finderprint sensor vala india ka first Smaprtphone hai. Es handset ka wait bahut time se ho rha tha. Vivo X21 handset ab market main available milega aur is model ka price Rs.35990/- rakha gya hai. Vivo X21 6.28-inch touch screen display ke sath ayga. Phone ke display resolution 1080 x 2280 hai.Yeh handset bahut hi minimum bezel ke sath ayga aur display main minimum notch di gai hai. Es handset main powerfull octa-core processor aur sath hi 6GB ki ram di gai hai phone ki performance ko aur bhi enhance krne ke liye. Vivo X21 main 12 MP (megapixels) ka primery camera (rear) aur selfie ke liye 12 MP (megapixels) ka front camera diya gya hai.Phone main latest Android version android Oreo 8.1 milega.hai aur yeh handset highbrid sim slot ke sath aa rha hai agr memory card expand krna cahte ho to 256GB tak ka memory card insert kar skte ho. Handset ki internal storage 128GB Battery backup ke liye phone main 3200 mAh ki battery milegi. Vivo X21 ki sabse khas baat ye hai ke phone main under display fingerprint sensor diya gya hai. Ye fisrst time hai india market main ke first phone launch kiya gya hai under display fingerprint.